Grips smooth, rough and uneven surfaces. Can be used indoors and outdoors, water resistant with strong reinforced backing. 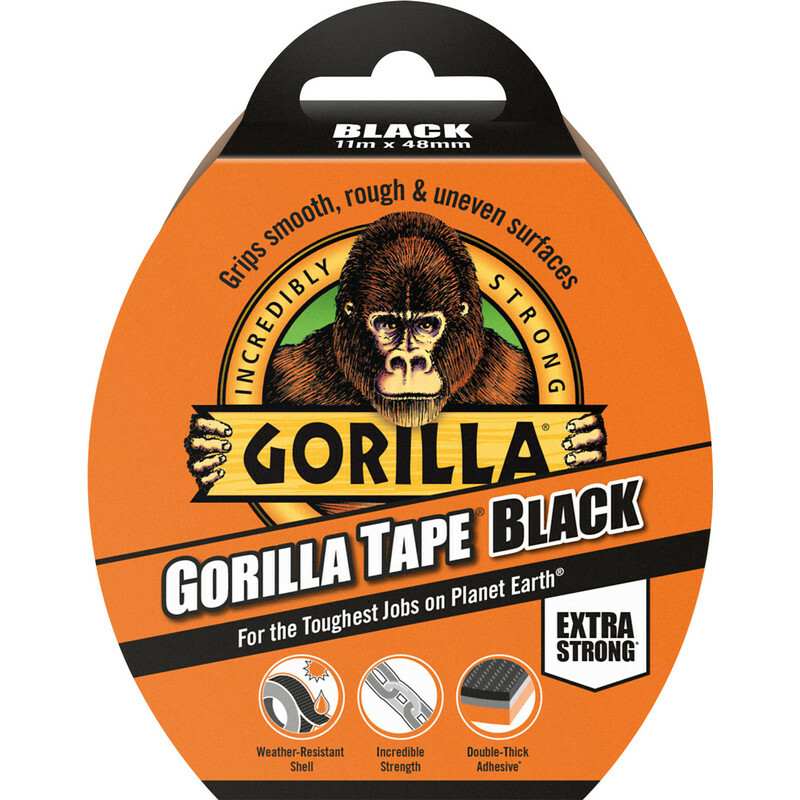 Gorilla Cloth Duct Tape Black 48mm x 11m is rated 4.3 out of 5 by 23. Rated 3 out of 5 by Bee person from Not as good This size does not stick as well as thinner gorilla cloth, less glue used? Will not buy again, the narrow tape sticks much better. Rated 5 out of 5 by Bigalsy from gorilla tape these gorilla tapes are the Bees Knees. The delivery time was excellent Would certainly recommend Toolstation. Rated 1 out of 5 by Malcolm777 from Gorilla Tape Total junk. Didn't stick on anything I needed it for. Rated 5 out of 5 by Wrex from Excellent product This tape is excellent and very useful for all types of jobs. Rated 1 out of 5 by Disap from Gorilla Duck Tape Performance Not fit for purpose, will be returning roll to Toolstation for refund.